Start Day of the Week – This is the day of the week that you would like your timesheet to begin on (Sunday, Monday, Tuesday, etc.). ☐ Capture reason for any changes made in previous day – When this box is checked, users will be prompted to insert a reason for editing a prior day on the timesheet or failing to enter time on the current day. NOTE: This box should be checked for DCAA compliance. ☐ Restrict Employees from charging work hour in advance – When this box is checked, users will not be allowed to enter time entries for billable items on the timesheet. NOTE: This box should be checked for DCAA compliance. ☐ Allow employees to enter negative work hour on timesheet – This option only appears to customers using “Custom” integration. QuickBooks users are not allowed to enter negative values on timesheet. ☐ Track and export leave hours against charge codes – This option applies to QuickBooks users who need to associate job codes and service items to leave types. ☐ Restrict Employee to edit/delete clock in/out value once added – This option (when checked) restricts the employee from editing in/out punches. These punches can come from mobile app, web clock or time clock. ☐ Restrict manual entry of in/out times on timesheet for employees – This option (when checked) restricts the employee from entering in/out punches. These punches can come from mobile app, web clock or time clock. 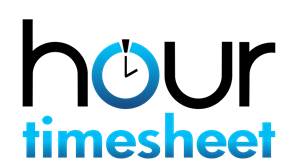 NOTE: Hour Timesheet does not allow Customer/Jobs, Service Items, Classes or Vendor data to be added through the Hour Timesheet software. You must add the data to your QuickBooks company file first to sync the data. Hour Timesheet does allow for employee data to be created using the software, but these employees WILL NOT sync timesheet data back into your QuickBooks file. Hour Timesheet utilizes the QuickBooks Web Connector to enable the exchange of data between your company file in QuickBooks Desktop and Hour Timesheet. The import process should be run each time new data is entered in your QuickBooks company file. Open your QuickBooks company file and navigate to the File/Update Web Services menu item. Place a check in the box next to the Hour Timesheet Web Connector and click the Update Selected button. NOTE: The import process is not immediate and may take some time (up to 60 minutes). Once the data import process is complete, you will receive an email with the details of the import. Timesheet Drop Down Labels are used to define data elements on employee timesheet. Up to 5 different data elements may be tracked in Hour Timesheet. Minimal setup must include at least 1 level. NOTE: These are timesheet heading only. Specific company data to be tracked will be created in the next step of the process. Click on the Timesheet Drop Down Label that you would like to add data for. In the example above, the user is going to add a new “Cost Center” by clicking on “Cost Center in the left-hand box then moving to the right-hand box and clicking the Create New “Cost Center” link in the middle of the right-hand box/screen. Repeat this process for each of the items needed to track time against. Regular (examples: Hourly, Salary, G&A, Overhead, B&P, etc. The box in the middle of the screen will display created pay types once they are added to the software. After setting up your new site, you will need to establish system roles. By default, all users are assigned the employee role and the creator of the site is assigned the Admin role. Admin– System role allowing management of data to/from company payroll file. The admin role is also responsible for all system setting such as overtime settings, timesheet period and notifications settings. The Admin role can export approved timesheet data to specified accounting and/or payroll software, run reports as well as associate charge codes, leave types and payroll items to groups and employees. Using the Hour Timesheet group feature is optional. Groups are used in Hour Timesheet to structure employees. Employees may be associated to one or many groups. By creating groups and assigning employees to groups, certain features and functions can be viewed by individual group instead of the company. Note 1 Supervisors – System role allowing users to manage employee timesheet data. This includes approving, rejecting and editing employee timesheet data as well as running reports. Note 2 – By default, Admins have access to Supervisor privileges. Place a check in the Available Authorized Charge Code(s) – created in previous setup process. NOTE: If no charge code associations are created, employees will have access to all codes. Repeat steps 1-6 above for each leave type. Login to Hour Timesheet as Admin or Accountant. Navigate to Accounting→ Leave sub menu. Click Create New Leave Policy. Click the +Configure Rule text next to the leave to be configured. Leave Rule Effective From – Click the radio button for one of the two options below for this setting. From Hire Date of Employee – Runs the accrual from each employee’s hire date. After [user defined] Duration from employees hire date – Accrual for each employee will not begin until duration time is complete. Accrual Quantity – this field is used to define the rate at which the leave will be earned for each of the frequencies identified above. Leave Balance Carry Over Frequency – if leave balance carries over from one period to another, the user will be able to define the date on which the carryover occurs. Max Balance – this feature allows the user to set the maximum number of hours for each type of leave that an employee may carry on the books. Once this value is reached for each employee, the remaining hours will be accounted for as Lost hours. Max Overdraw – this feature allows the user to define the number of hours that an employee may go “into the negative” for each type of leave. Repeat steps above for each leave policy. Timesheet behavior is dependent on setup of leave policy. Users with the supervisor, admin or accounting roles may view individual leave balances for each employee. Employees will not be able to see leave types using the Add Leave Hours section on the timesheet until leave is assigned. Employees will not start accruing leave until leave has been assigned. Identify Pay Type(s) included in OT – these pay types should be the pay types associated with core hours (Regular, Hourly, etc.). This setting allows for multiple pay types to be identified. Select check box with Rule Option. This setting allows the user to select a “Daily” or “Weekly” overtime Click Ok.
Identify Pay Types from drop down box that contain the overtime pay type that must be used once a user has exceeded the daily and/or weekly overtime rule. Move the Employees from the Available box to the Selected box – these can be selected one at a time or be filtered by group. The following notifications are available in Hour Timesheet. By default, they are toggled to the off position for all new accounts. Signed Up – the employee has received the email and clicked the Sign-Up button to initiate the signup process. The link in the email will expire within 72 hours. If necessary, the Admin can resend the sign-up invitation to the employee.